We offer sales, rentals, tours and group activities. We delight our customers with exemplary service, great pricing and honest advice. 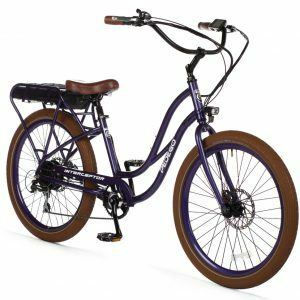 If you are in the market for a new or used Pedego electric bike,3G beach cruiser bike or electric scooter, we have many to choose from. Our staff is dedicated to finding the perfect bike to suit your needs. Our Service Department repairs all bikes, electric and non-electric. Our staff is ready to make your bike perform to its highest standard. If you decide to wait while we repair your bike, wander through the Design District, shop or enjoy a meal at one of the restaurants. We are centrally located in North County at the famous Cedros Design District. North County’s premiere boutique shopping and restaurant district. Shopping, dining and exploring the boutique shops are just steps away from our store. Down the street from our store is the Solana Beach Coaster Train Station. Rent a bike and hop on the Coaster to ride anywhere in San Diego. We provide our first-class service to Solana Beach, Leucadia, Encinitas, Del Mar, Carmel Valley and Rancho Santa Fe. Our self-guided tours explore Oceanside, Carlsbad, Mission Bay, La Jolla and downtown San Diego via the Coaster Train. A Pedego electric bike rental is the very best way to experience San Diego’s North Coast and beyond. The Solana Beach Coaster Train station is just two blocks from our store which allows you to explore all of San Diego with ease. Our bikes are clean, well maintained and have baskets or saddle bags for your gear. Trailers, child and pet carriers are also available. Even if you have never ridden an electric bike, no problem. We can show you how easy it is to ride one of our bikes and you can practice in our parking lot before departure. When you return be sure to wipe the bugs off your teeth from smiling so much during your ride! We have many great rides for you to enjoy around our area, so come on in and get ready for a great time. We even provide a helmet, lock and bottle of drinking water with each rental. Rented electric bikes for an afternoon and had great overall experience. I had never done this before and Jim was terrific at showing us how to use them. Patient and encouraging and very quick. I’m happy that I tried this location and would return in a heartbeat. This is by far the best local bike shop for Pedego owners. I live in Carlsbad and prefer to do business with Solana Beach. Customer service is excellence, very knowledgeable staff and extremely helpful. Outstanding service, orientation to the bike and overall helpfulness. My wife rented a Pedego and I rode my own regular bike. She loved the bike and said it was easy to operate. I credit the tutorial at the beginning which took only about 5 minutes but the gentleman assisting us was completely engaged and vested in her having a great experience. This was our first time here and we received great service. The staff here are very knowledgeable about the bikes they have, and they also offer great bike rentals which let you get a feel of the bike before you’re ready to make a purchase. Great experience. My all-time favorite electric bike rental shop. The bikes are fun and easy to use. The staff is exceptionally friendly and make it a super fun experience! I recommend this location to everyone. This tour departs from our Pedego Solana Beach store and is a great way to spend the day with the one you love or would like to love. We provide everything you will need, except the romance. That is up to you! The Cedros Avenue Design Center, where our store is located, has many boutique restaurants to stop at and get a lunch to go for your adventure. 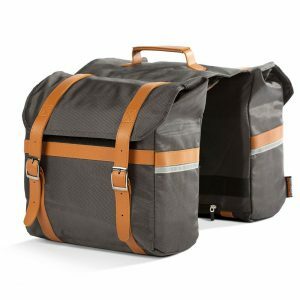 We will even have an insulated bag installed on your bike to keep everything fresh. When you arrive at the Park, about 4 miles from Pedego Solana Beach, you are free to explore the park as all the roads in the park are bike friendly. There are vast grass areas with abundant trees and lush landscaping. All areas of the park have plenty of picnic tables. Find the perfect spot and stop to enjoy your lunch. After lunch explore the area on your bike or by foot on numerous easy hiking trails. This is a self- guided tour, so go at your own pace and go where you want. As you return to Solana Beach, take a walk through the Design District or across coast highway is Fletcher Cove Beach. This tour is fun for everyone from couples to groups who want a fun way to spend the day. The bikes are yours from “Open to Close” of our shop. So take a few hours or most of the day, it’s up to you. Give us a call with any questions or to make reservations. This ride starts at our Pedego Solana Beach Store and explores the village of Del Mar and the Torrey Pines Reserve State Park and Beach. The Park boasts panoramic views of the coastline along with the areas’ largest concentration of Torrey Pines. The hiking trails in the Park can be easy to difficult and the Nature Center offers history and information concerning the park. This is a fun way to get some exercise and enjoy the outdoors. Don’t forget your camera for great coastline photo’s. What to expect: Great views, fresh coastal air, exercise, new knowledge about our local history, fun stores and restaurants in Del Mar. What not to expect: traffic jams and parking problems. Ride the Solana Beach bike trail along Coast Highway and visit Fletchers Cove Beach, the Cedros Avenue Design District and wind through residential streets along the beach. Solana Beach is rich with great restaurants and boutique shopping. Fletcher Cove Beach is beautiful and always a great place for pictures, especially at sunset. Before or after your ride you can walk down the street and explore the Cedros Avenue Design District for unique shopping, dining, craft breweries and wine cellars. Also the Farmers Market on Sunday, is in front of our store, and is a must see for great produce and other fun products. Cruise down the Solana Beach bike trail and head over to the famous Del Mar Race Track. There are great views of the track even when not in operation. Then it’s off to downtown Del Mar with a quick stop at Power House Beach. If you want to extend your time, lunch and shopping is fun and unique in the downtown area of Del Mar. We suggest combining the two, one hour rides above, for a great two hour ride. If you want to shop or dine while on your ride add an extra hour. Explore Solana Beach and Cardiff by the Sea as you cruise north on the bike lane to Encinitas. This entire route is next to the ocean with panoramic views of the coastline along with fun small town shopping and dining. Stop at any of dozens of beach stops to take pictures and enjoy our California Sun. Just add some beach time, shopping, and a casual beachside lunch and/or a craft beer for a fun 4 to 6 hour day. This ride takes you along the coastline to Carlsbad, which is north of Solana Beach. You will ride through most of the towns listed on our other rides except Del Mar. Enjoy coastal view and explore the Village of Carlsbad with its many shops and restaurants. This ride makes a great day trip as there are many places to stop, shop, dine and enjoy the beach.